Kisoro Tourist Hotel found in Kisoro is a perfect place for those exploring Southwestern Uganda, as well as those heading to Rwanda, as well as the Democratic Republic of Congo or the Nkuringo region in Bwindi Impenetrable Forest National Park to enjoy gorilla tracking .this area of Kigezi is well known as “Switzerland of Africa”. The area features evergreen rainforest, huge bamboo forests, the gorgeous rising and falling hills as well as the beautiful lakes. The hotel is suitably located on the foothills of the Virunga volcanoes offering amazing views of the mountains found on the border of DR Congo, Rwanda and Uganda. 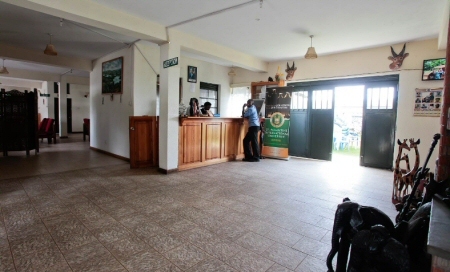 The Kisoro Tourist Hotel is a pleasurable and cozy hotel with easily affordable rates. There is very good quality accommodation and all the rooms have en-suite bathroom and toilet facilities and DSTV. 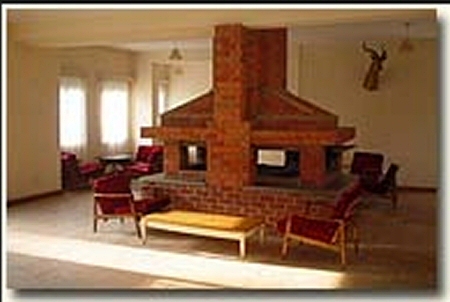 Get ready to enjoy the cozy atmosphere of this lounge and get yourself warmed up in this really cold Kisoro area as you unwind near the open fireplace. We as well offer massage services in the sauna and steam bath to help you loosen up after you have returned from gorilla tracking. Our restaurant is famous in Kisoro for its good quality food including local as well as international dishes. The staff is well trained at Tourism & Hotel Training Institute in Jinja (THTI). 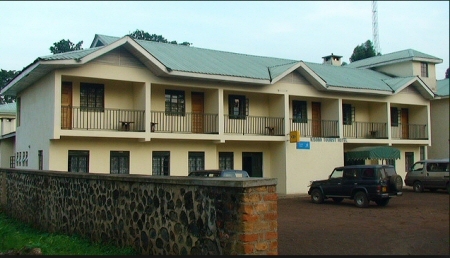 Kisoro Tourist Hotel belongs to the Skyblue Chain of Hotels that runs hotels within the Districts of Ntungamo, Kisoro and Kabale plus Mirama Hill on the border of Uganda-Rwanda.